As a user researcher with the Police Digital Service, I spend a lot of time learning about users and their needs. What I uncover helps my team understand the problem we’re trying to solve and how to build a service that will work well for users. I was recently working on a database system that will be used by forces across the country and wanted to capture the environment that people were working in, while also collating interview data. Doing observational research like this can help you understand the tasks that users are trying to complete, as well as the tools, services and systems they use. If you’re able to learn about these, then you can see how they are failing users, or where they are only meeting a partial user need. Seeing how the station operated at different times helped me understand various peaks and  troughs  in activity, and how people's motivations and needs changed over time. From this research,  I’ve collated 5 tips that  can  help make observational research more valuable. It’s important to think about who  and what you’ll be trying to capture. It can be easy to inadvertently record data about people who are not your participants and who have not given their informed consent for you to record details about them. Be aware of who you’re speaking to, whether they know who you are and what you’re doing, and what notes you are recording about them. Visual records, like photographs or video recordings, can help team members and stakeholders better understand your users and the environments they live, work or study in. However, ethics might make it difficult to take photographs or record videos. For example, you might be in an environment where people can’t or don’t want to give their consent to being recorded. In these cases, drawings can help provide a visual representation of where your users spend their time and how they use and move within the space. Take a pencil and paper, or make use of design software like Sketch. Remember, too, that photographs of artefacts (like tools, devices, desks and personal items) can also provide context, though you must get consent before photographing these. It can be helpful to involve participants in what you’re doing. Asking them to help with drawings or work with you to document a task or experience can help reduce any concerns they may have about being observed. Doing this also gives visibility to your work and allows the research to become a collaborative experience rather than an activity that a participant may feel is being ‘done  to them’. Start  analysing  and adding to your notes when you get a chance, especially if your research lasts more than a day. Themes may emerge that you can build on, or you might spot gaps in your knowledge. 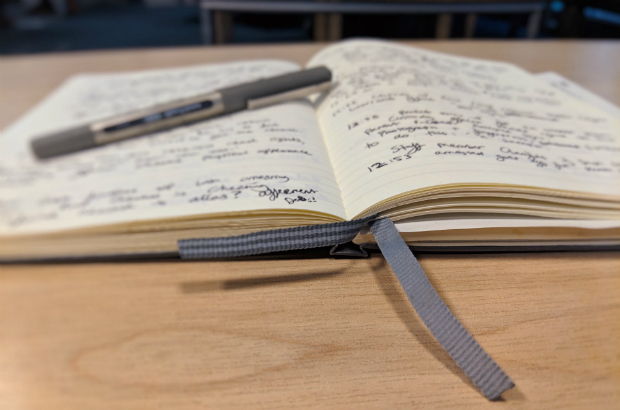 Your original notes could also trigger questions or thoughts that you did not have time to consider during the research, enabling you to expand on what you observed. As you begin to understand your environment better, you might  realise  that you’ve misunderstood a previous observation. Give yourself the time to clarify what you’ve learnt. Balancing the art of observing and note-taking can be tricky. Remember to look up and see what’s going on around you. That’s what you’re there for, after all. It’s also worth considering your other senses and thinking about what participants are hearing, smelling and feeling in the space. If an office is cold, noisy or next to a busy kitchen, for example, this could influence the way they behave in the space. Observational research takes time and requires planning. Done properly, however, it can be one of the best ways to gain valuable insight into the complex environment that our users live or work in. Excellent - particularly like the sketch tip. My current research is in a sensitive area where video and photographs are not suitable so sketching may be a solution.